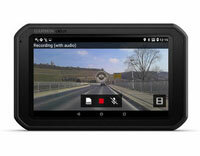 Truck Ireland :: mysatnav.ie - Irish Dealer, Warranty, Support & Knowledge. 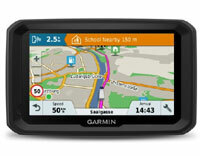 The Garmin dēzl range, available with either an 7" or 5" display, is designed specifically to make a trucker's life easier. If available in your area, once you have entered your vehicle's profile (height, weight, length, width amd hazardous materials), the dēzl will route you according to your vehicle details and your load. If you are considering truck sat-nav devices as part of your fleet management solution you can find out further details here, fleet management. We supply a range of options specifically designed for trucks that include Enterprise versions with litetime maps, extended 3 year warranties and digital traffic. Call us on 01 293 6987 for further information. 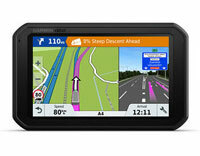 5.0" truck sat nav with maps of Europe, free lifetime map updates with customised truck routing.